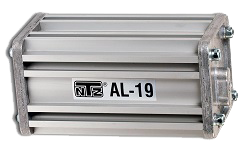 The NTZ AL Series Bypass Filter System is specifically designed for use in low-pressure applications, such as engines and transmissions up to 7 bar max. 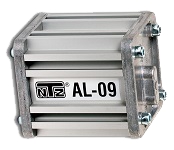 The AL Series filter systems are specifically equipped with a restriction in order to prevent the oil pressure dropping beneath the required minimum as a result of the created bypass. 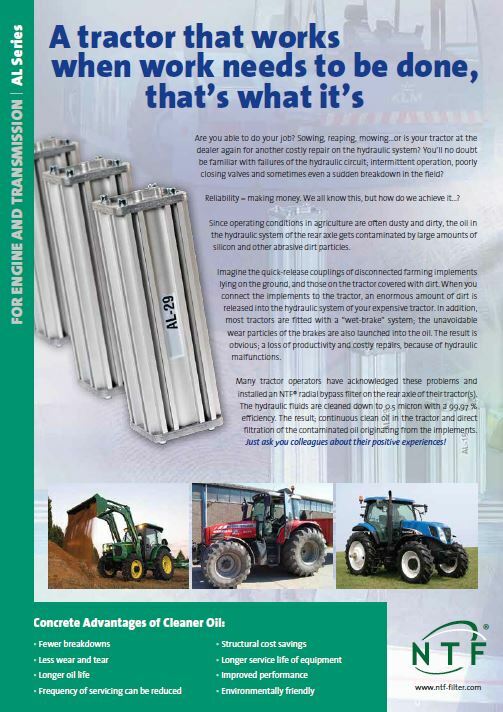 This ensures that the unit does not affect the operation of the equipment it is installed upon. 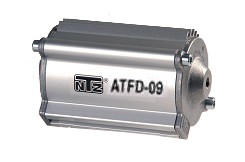 NTZ filters are highly efficient micro filters that are installed parallel to the original oil circuit. Engine oil, transmission oil or hydraulic oil is conducted through the filter by the system’s (low) oil pressure.